Meet 'Bernie'.....he is a cute sock bunny, approx. 38cm tall. 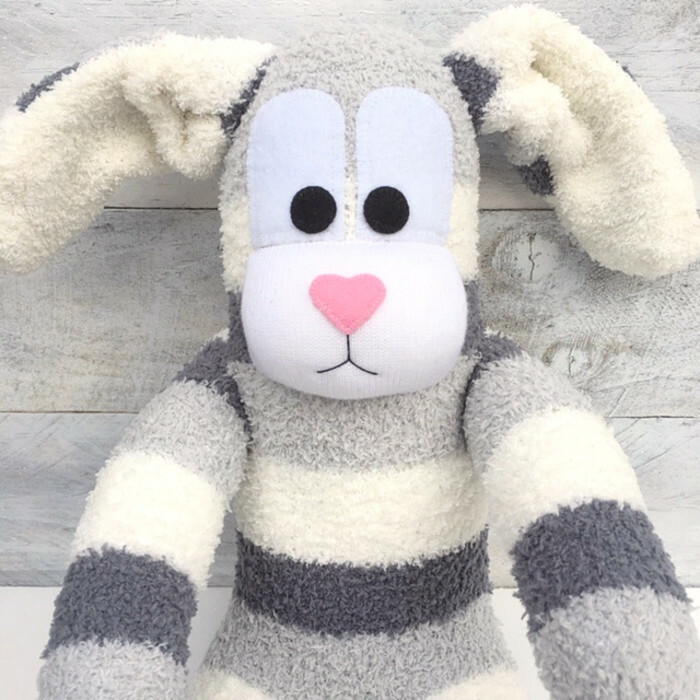 Bernie is made from a pair of lovely soft bed socks, which makes him extra soft and squishy to hold. 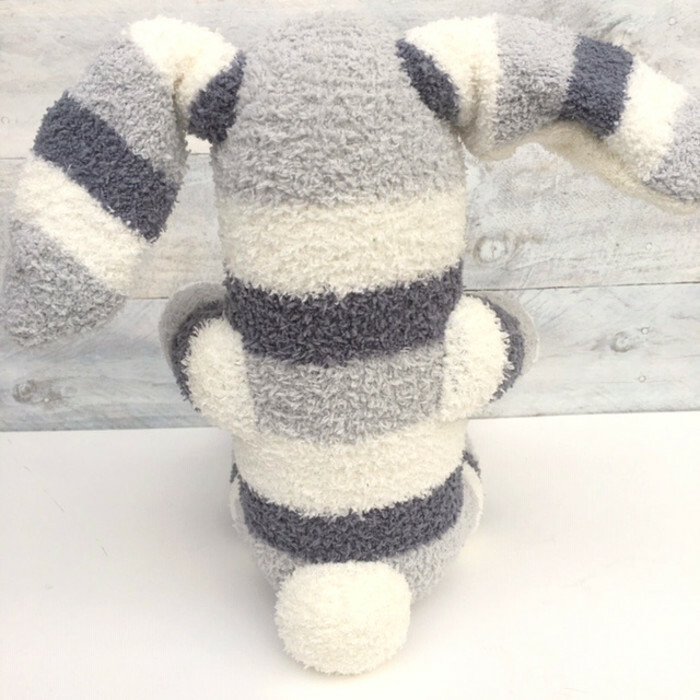 His gorgeous fur is a pretty combination of dark and light grey and cream stripes. Turn him around and you will find a cute fluffy cream tail. 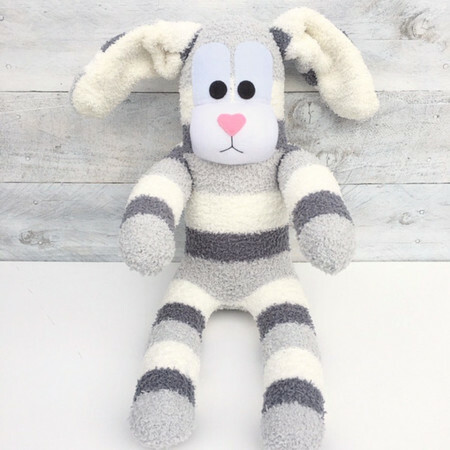 Sock bunnies make the perfect friends because they are super soft and lovely to cuddle.....and are easily cleaned by gently hand washing in warm soapy water. Materials used: new cotton socks, pom poms, felt & polyester filling. We accept payments via both PayPal and Direct Deposit. If paying by Direct Deposit, please leave your user name as the payment reference.